With the debate over what should happen to Santa Barbara's city center, if it should be remodeled or host the Saturday Farmer's Market, edhat came up with the perfect decision. We'll buy it! We hired a top of the line architect who spent months putting together this professional rendering of what the building space will look like. Drawn to scale, it offers a design style that fits within Santa Barbara's unique aesthetic. 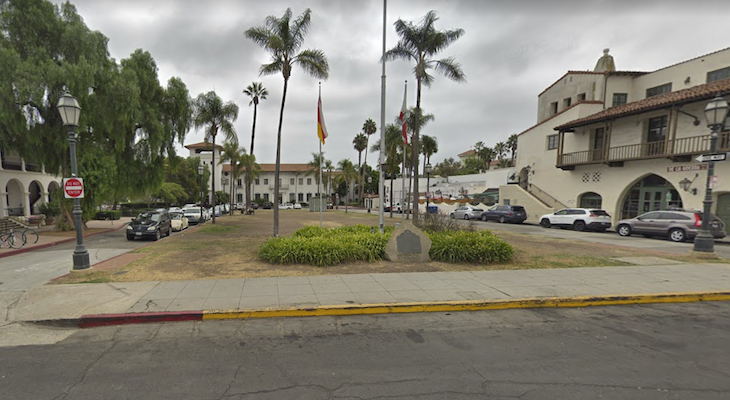 With three stories and the option to add six more for a very tasteful nine-story building right in the center of Santa Barbara. Our design and application were quickly accepted by the city council, the mayor, the historical society, and the Architectural Board of Review. What an easy process! To accommodate our 378 employees who will travel to our new building every day, we're offering 1 parking space, which is more than enough since everyone rides around town on rentable Lime scooters. Also, to make sure our landscape is always looking great, we'll be installing a very special strain of grass for a beautiful lawn that only needs to be watered 11 times a day. You'll be unable to walk on it or touch it, but it will look stunning! 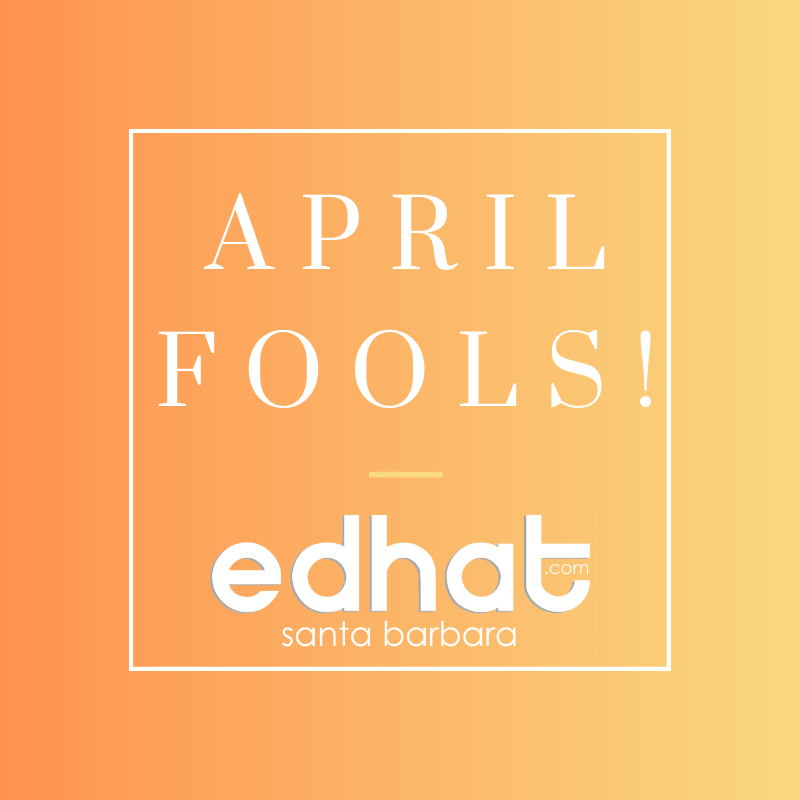 Click here to learn more about edhat's new headquarters! The top floor could be leased to the Mayor. She will need all of it. I am a little concerned that the building may be too close to the street. I liked last year's about Macy's better! you can bump it up to the full 9 stories by adding several benches and the plastic fountain and labelling these affordable housing. cough, cough, on the easy approval process. Congratulations, Edhat! The puffy green trees are stunning! I know, people who complain about the City permitting process - really it's a piece of cake if you just color inside the lines. Looking forward to the office-warming party! April Fool's... biggest giveaway was that the building approval process was "easy". Actually "yellow gold" (pee) is good for gardens. Maybe not in such astronomical quantities, though. Not sure how nicotine and alcohol content would affect grass, either. true: I had a friend who would make amazing compost yearly by merely peeing daily on a bale of hay. After a year went by it had turned into nutrient rich, amazing compost! I'm just reading this today - April Fool's Day - and wondering if this is an early April Fool's joke!? No, "a-1554228865 Apr 01, 2019 02:11 PM", it's completely legit. And you have a very good brain. This tiny office craze has gotten out of hand! Aha. Next time buy the News Press! Great satire; and so true. Like scooters....I have the hookup for HOPR bikes. Just hit me up. Does it come with our without all of the transient urine? YETI, it's a special type of grass, see? It gets watered 11 times a day, with transient urine!